The state arms export of Russia known as Rosoboronexpor will begin shipping the S-400 missiles next year according to the company's CEO Alexander Mikheev. A loan agreement was signed by Turkey and Russia over the sale of the missiles to the country's capital, Ankara in 2017. The United States is now concerned over whether the sale of the missiles combined with Turkey's purchase of Nato's F-35 jets could somehow relay information about the aircraft's capabilities to Moscow. The United States also warned Turkey not to go forward with the deal, or it could face harsh sanctions. The S-400 is a powerful air defense system capable of shooting incoming missiles out of the sky. It is capable of destroying aerial targets up to 250 miles. US Senator Chris Van Hollen added a provision to a Senate bill in June in hopes of blocking the sale until US Secretary of State Mike Pompeo certified that Turkey had not paid Russia for the S-400. The bill's amendment bars Turkey from using money from the Fiscal Year 2019 or before to facilitate a transfer of F-35 join Strike Fighters to Turkey until that the secretary of state has agreed to refuse the missiles from Russia. Van Hollen said, "I support the transfer of F-35 advanced aircraft to Turkey, but not if they proceed with the acquisition of the Russian S-400 missile defense system – this move would jeopardize the national security of the United States and our other allies." Van Hollen added, "Turkey’s acquisition of both systems would allow the Russians to more easily evaluate the capabilities of the F-35 and detect and exploit its vulnerabilities. That is unacceptable." The Russian CEO Mikheev said Russia is anticipating to secure more arms deals in the future, particularly with African countries. "We will hold talks with representatives of more than 50 countries during the event. By the way, the Army 2018 forum will see a real ‘African breakthrough," Mikheev said. "Apart from our traditional partners from North African countries, we expect delegations from 16 countries south of Sahara to visit our stall and hold negotiations with us." 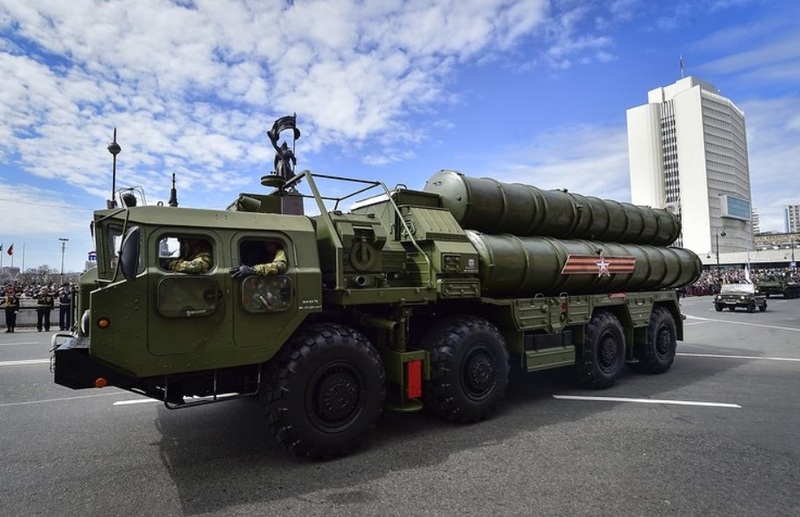 Turkey would not be the first country to purchase the missiles; the S-400 is already being used around the world by countries like India, China, and also at some Syrian air bases in Khmeimim and Masyaf.